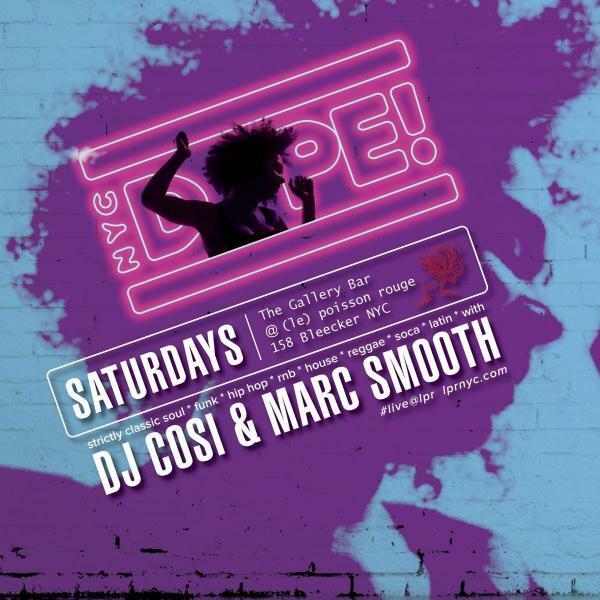 DJ Cosi and Marc Smooth (Freedom Party NYC) host their classic dance party that aims to preserve the essence of “Old” New York City Nightlife culture. They’re taking it back to a time where music was the “answer” and folks got down and “danced like no one’s watching.” This week we welcome special guest DJ, Hot 97’s own, Heavyhitter DJ Enuff! Expect to hear a Classic Soundtrack of 80s/90s Pop, Soul Classics, Golden Era Hip Hop, Soulful House, Classic Rock, Dancehall Reggae, Soca, Latin, Afrobeats and some new classics that stand the test of time. The Gallery at LPR is a great, intimate room with a state of the art Martin Audio Sound System which helps with creating a nice atmosphere for folks to rock to the dope tunes being spun by DJ Cosi and Marc Smooth along with guest DJs.